In a year that brought strong Black male characters to the big screen in films like Black Panther and BlacKKKlansman, one collection of artwork seeks to broaden the notion of what is Black masculinity. The words black and men, when put together, often denotes physical strength, and lack of emotion, instead of vulnerability and empathy. 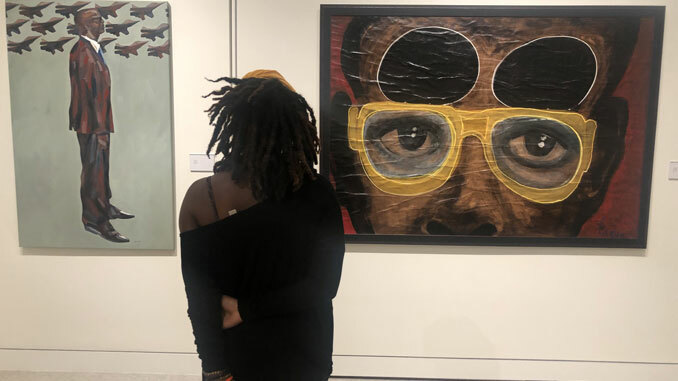 Actress CCH Pounder hoped to celebrate the diversity that is true Black masculinity with a new exhibition from her collection of artworks that went on display at Xavier University’s art gallery this fall and will be open to the public for viewing through February 28, 2019.